This Tighe Stick knife was acquired through a collector. It is in excellent condition. 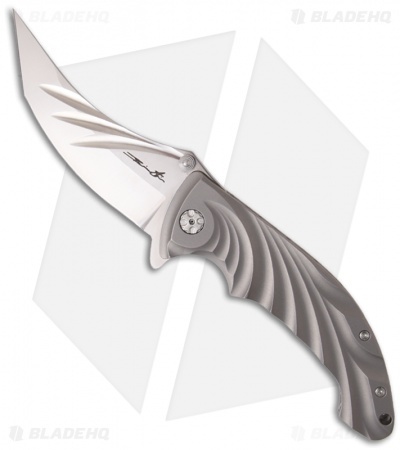 It features a fluted titanium handle with a matte finish and an open build design. 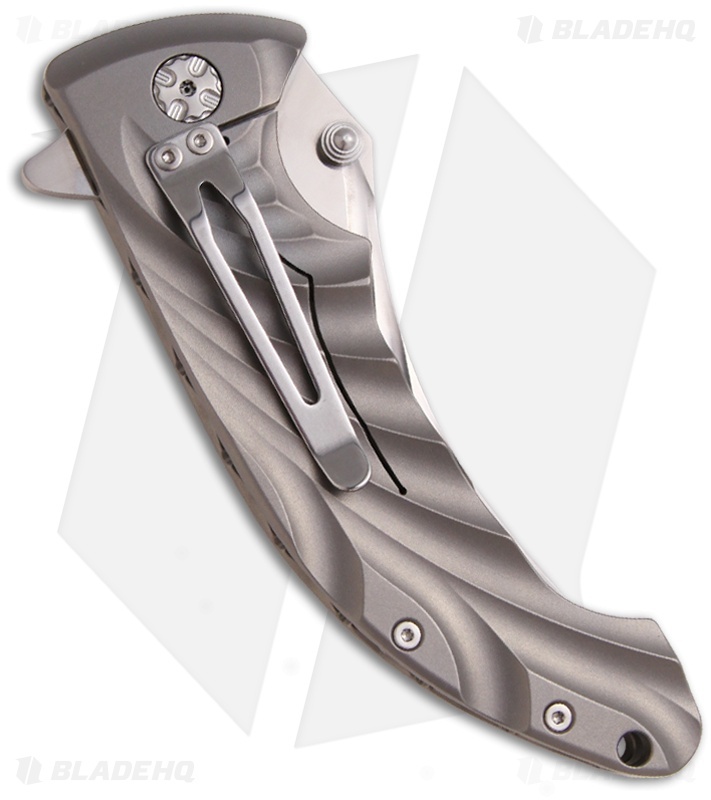 The hardware and pocket clip are satin finished. The BG-42 stainless steel blade has a high satin finish, flat grind and upswept tip. The blade has ambidextrous thumb studs and an integrated flipper/guard. The Tighe Stick utilizes the Sealed Thrust Bearing System (STBS) for superb action and very, very little to no lateral blade play.